Pony E-News: Welcome to the 2016-2017 school year! The teachers and staff in Stillwater Area Public Schools make an incredible difference in the lives of our students. How do we know this? Because our students have told us! 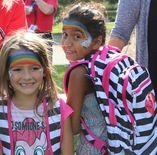 Check out this inspirational back to school video featuring Pony students past and present! From the Superintendent: "Our students are our focus"
As parents, you've probably been busy gathering up the supplies your kids need for the start of the new school year. We are doing the same thing to ensure our schools are equipped to meet your children's needs! Our students are at the center of all we do, and our focus is on creating schools with support systems that provide them with everything they need to be successful. Check out the first Talk of the District column of the new year. Want your child to be successful this year? So do we! That’s why we’re making our schools healthier, safer and more active places for kids to learn and grow. Learn more about “What’s In” and “What’s Out” as we do our part to help students become smarter and happier and live longer lives. Read more. Board members are contemplating when to start school 12 months from now and are looking for your input on the 2017-2018 calendar. They'll be discussing the calendar at a September meeting. Take the survey. Stillwater students outperformed peers across the state and nation on the ACT. Read more. Afton-Lakeland community comes together to make media center the heart of their school. Read more. Sophomore orientation ensures students start the year off right. Read more. Students will show up to school equipped with supplies, thanks to support of residents across the district. Read more. Visit our Facebook page for even more photos and news from across the district. Get your Pony gear for a new year! We’ve teamed up with Heritage Embroidery to offer apparel and accessories for Ponies fans near and far. Whether you’re looking for t-shirts, outerwear, hoodies or hats we’ve got you covered. You can have the items shipped or pick them up at Heritage at no charge. Visit PonyPride.org to check out our latest styles! Check out digital Backpack for information about youth sports, activities, clubs, events and more!